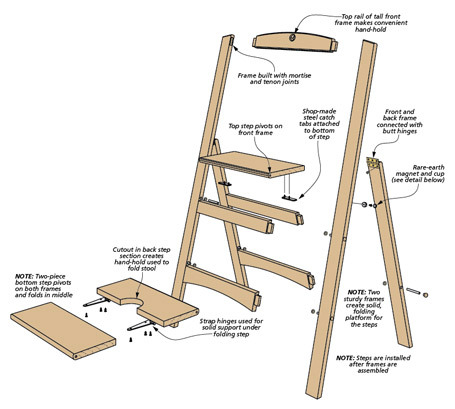 Easy to build, very sturdy, and extremely practical — this project has the whole package. 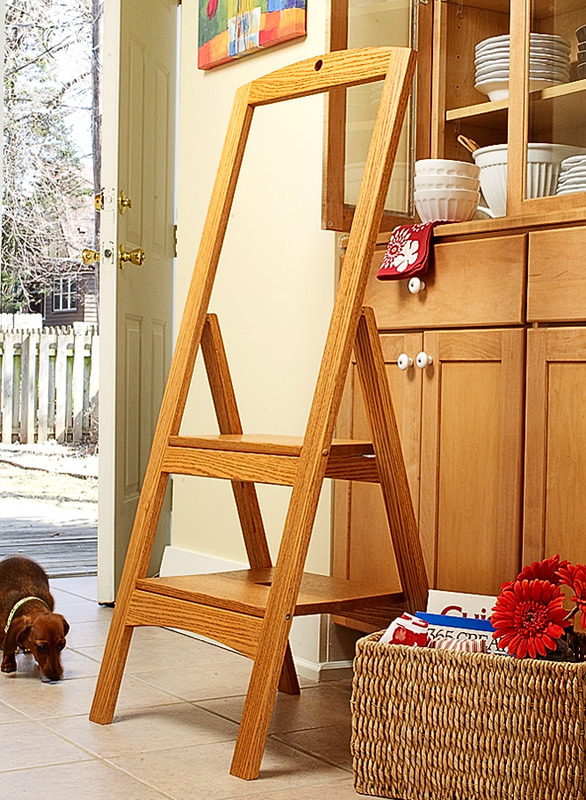 When set up, this step stool is solid as a rock. 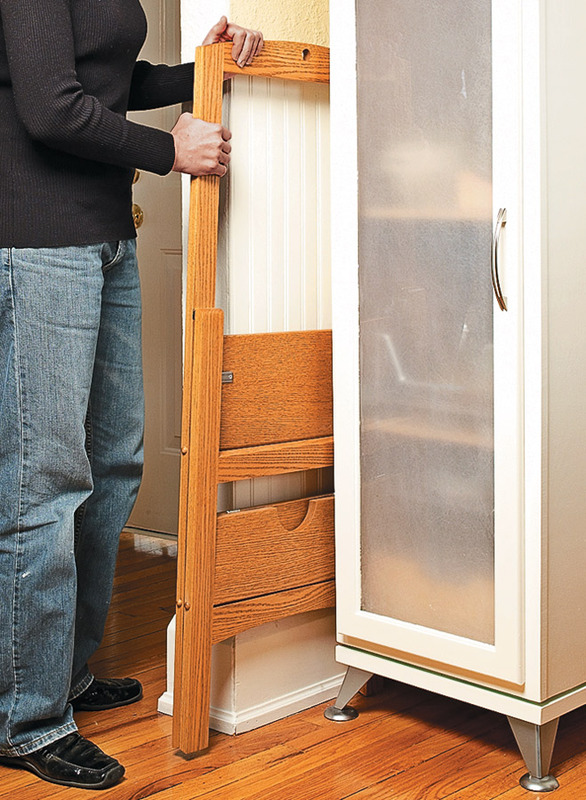 The upper rail of the tall front frame provides a convenient hand-hold to steady yourself as you step up to reach for the item you’re after. 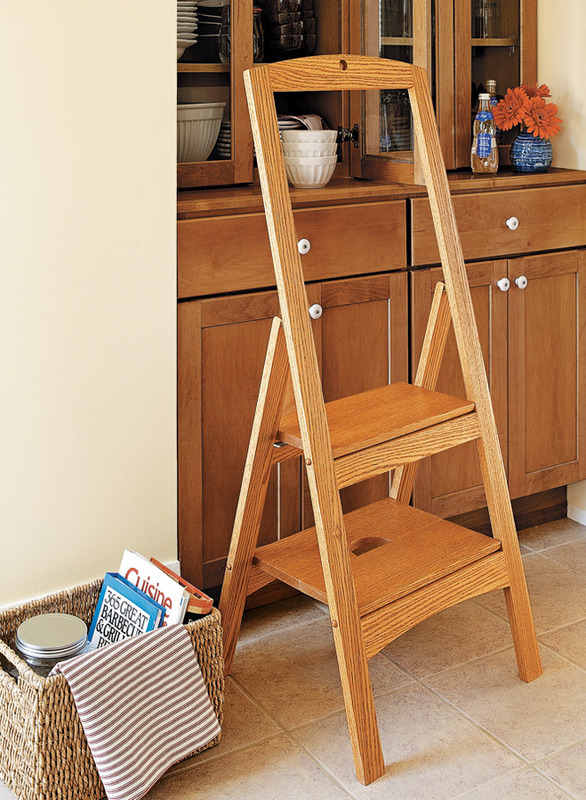 Once you’re safely back to floor level, the stool can be quickly and easily folded into a compact profile to store in a handy location. 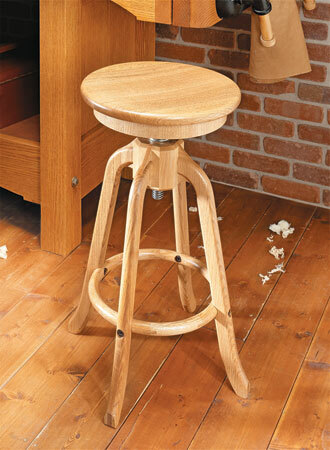 The clincher is that the stool goes together in a snap. There are no tricky “mechanics” to deal with. 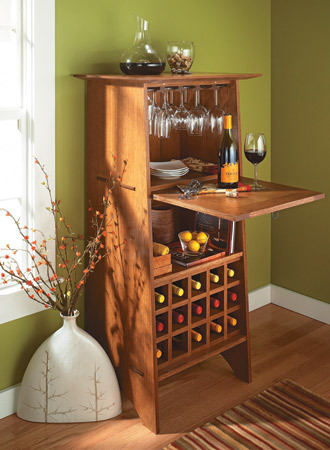 Solid, straightforward joinery and some common hardware are the basic ingredients. And we guarantee this useful project will earn its keep for years to come. 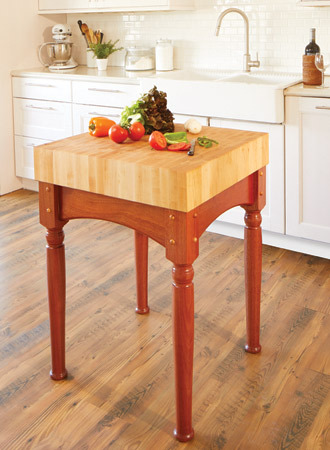 This attractive and sturdy swiveling stool will be the perfect complement to your workbench.